Metropolis Drachen | Parrot 3D | Buy online now! 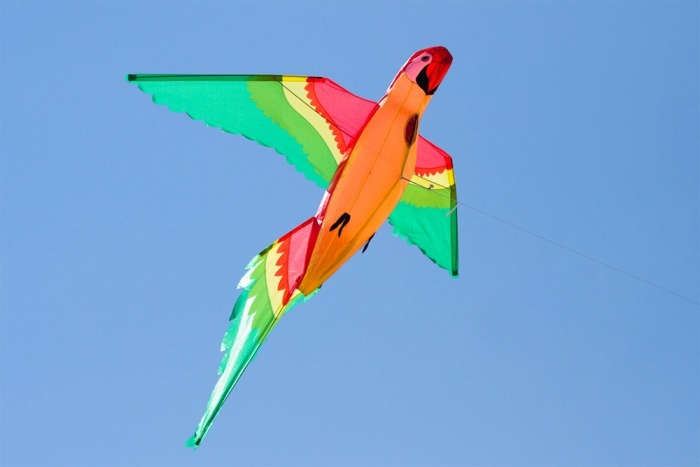 This incredible kite selection of 3D birds and flying dinosaurs combines magnificent and realistic looking graphics with amazing flight performance. The inflatable bodies of these creatures look great in the sky. 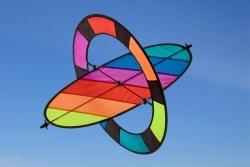 Original design by world renowned kite artist, Joel Scholz. 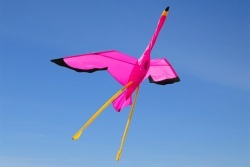 Wingspan: 118 cm / 46"
Hight: 110 cm / 43"